In this historic tale about the rivalry between Niki Lauda and James Hunt in the 1970s, a considerable amount of visual effects were required to sell the time period, and the dangers of Formula One racing. While Double Negative was the lead vendor, Pixomondo Stuttgart supported the vfx work with lots of retouches, retimes and cleanup fixes. After joining the compositing team in September 2012, I got my hands on approximately two dozen shots with a variety of individual tasks required to be done, mainly involving heavy amounts of roto & paint work. 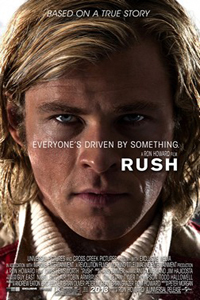 'Rush' was nominated at the VES Awards 2014 in the category 'Best Supporting Visual Effects in a Motion Picture'.